Little Haven’s new flood alleviation scheme has won a special award from the Institution of Civil Engineers. 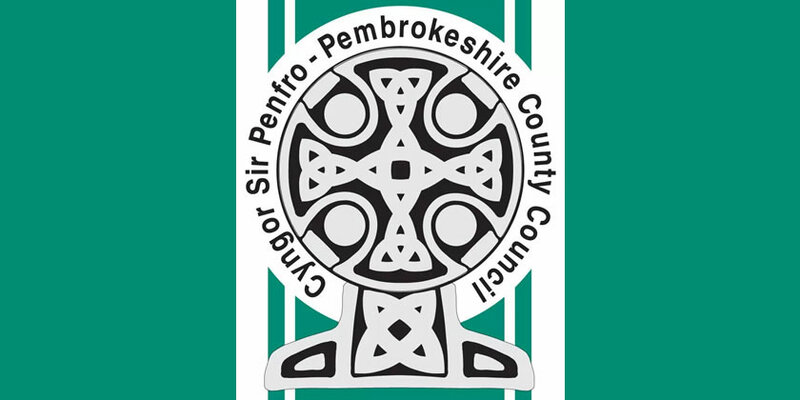 Designed by Pembrokeshire County Council, the scheme involved a new shingle bank being constructed at the top of the beach last year to boost the village’s defences against a one-in-a-hundred flood event. Within just two months of the scheme being completed, the defences were put to the test by Hurricane Ophelia and Storm Brian – and passed with flying colours. The award was given for ‘Studies and Research’ and celebrates conceptual ideas developed through study and research in practical solutions and recommendations. “The judges were particularly impressed with the way in which the project team had worked extensively with the local community to address their queries about the impact of the works on the local environment,” said the Head of Infrastructure, Darren Thomas. Many options were considered from new higher concrete sea walls to offshore breakwaters and more innovative solutions, such as glass walls. Ultimately, the shingle bank solution was seen as an acceptable compromise. The promenade, slipway and drainage system were also enhanced at modest cost and with minimal disturbance to the local community. The ICE Wales Cymru awards are a celebration of the best that civil engineering offers to Wales. Keith Jones, Director ICE Wales Cymru said: “This year there were no specific entries for the Studies & Research award, but the judges recommended that a Special Award should go to the Little Haven Flood Alleviation Scheme in Pembrokeshire because of the excellent work done on the project. Pictured is Darren Thomas holding the glass trophy alongside members of the Council’s project team, the designers of the scheme, Atkins, and contractors Dawnus.